While AUD is waiting for Australian budget and AAA ratings, it is losing power. 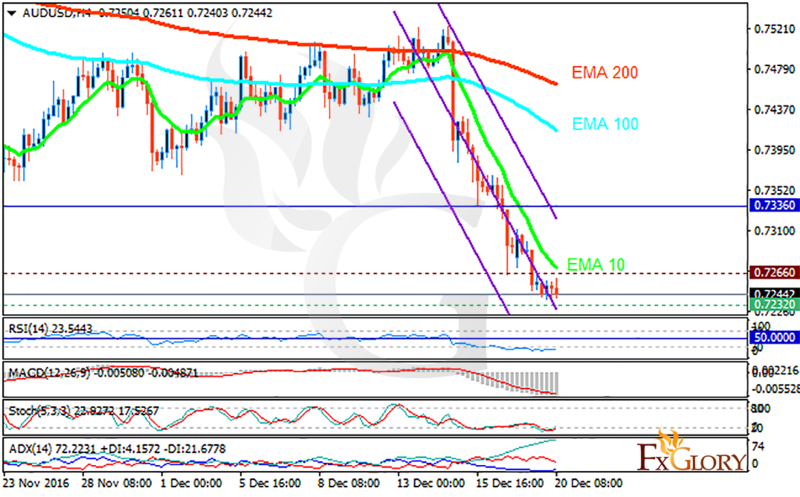 The support rests in 0.72320 with resistance at 0.72660 which both lines are below the weekly pivot point at 0.73360. The EMA of 10 is moving with bearish bias and it is located below the EMA of 100 and the EMA of 200. The RSI is moving in oversold area, the MACD indicator is in negative territory and the Stochastic is moving in low ranges. The ADX is showing strong buy signal. At the moment sellers can expect further decline to 0.7200 however after that, the chart will turn into bullish creating a good opportunity for buyers.